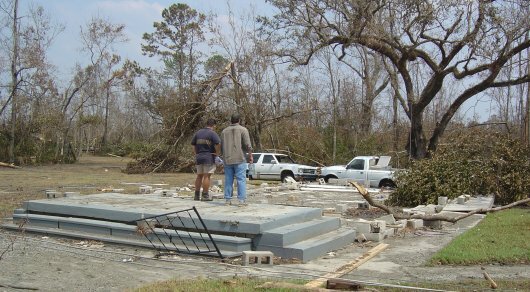 On August 29 2005 hurricane Katrina took our church buildings. Nothing but the concrete front steps remained. We found debris strewn in every direction. My Dad snapped this picture of my brother and I on our first return trip to the area 5 days after the storm as we surveyed the damage in disbelief. May the Lord continue to sustain you, Don, and keep you focused + standing on Him, our solid Rock.